People say that meditation is sitting with perfect silence without any process of thought. Such a contention is meaningless because it virtually amounts to a nice sleep only. These people further misinterpret that such a meditation is concentration on formless God (Nirakara). Holy Gita says that you cannot concentrate on formless God (Avyakthahi Gatih). 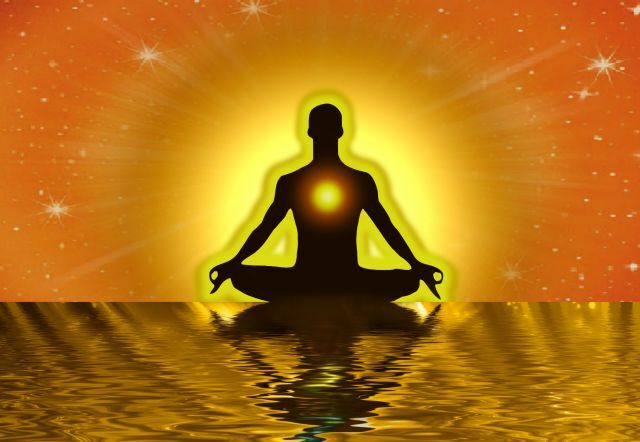 The meditation of formless God becomes true if you concentrate on the true knowledge of God. Vedas says that true knowledge is the real form of the Lord (Satyam Jnanam Anantam Brahma). Knowledge is formless. Therefore the formless God means only the true divine knowledge regarding Lord. This is the correct interpretation of Sankara’s philosophy. The great ancient Vedic sages sat in the formless meditation and this statement states that they concentrated on the divine knowledge (Brahma Jnana), which was expressed as Upanishads in their mutual discussions (Satsanga). The actual meaning of the word Dhyanam is the process of functioning of intelligence (Buddhi) and this pertains to the field of knowledge (Vijnanamaykosa). While some people interpret that meaning of meditation is concentration on the form of the Lord like the light blue colour, peacock feather on the head, flute in the hand etc., Instead of concentrating mentally on such objects, one can see these things in a photo or see the objects directly kept on a surface. If these things constitute the divinity there is no need of concentrating on these things. One can attain the divinity by applying light blue colour on his full body, by putting a peacock feather on the forehead and by catching a flute in hand. Such a divinity can be attained without any meditation. So meditation becomes meaningless in such a line. This is the reason why Sankara discarded the meditation of a form (Saguna Brahman). Ofcourse attraction by such things towards the Lord will help a person to develop the attachment on the Lord. One may be attracted to Lord Krishna by such things and then finally get attracted towards His divine knowledge as preached in Bhagavatgita. Such things may be initial promoters but the final is only the divine knowledge, which will help any one in his efforts (Sadhana) to please the Lord. The divine knowledge resulting in the realization will impart a tension free peace and tranquility to the mind. By such state one will attain perfect health of body and mind and thus the benefit is directly seen here itself. Example:- If one realizes that this body of the soul is only the external dramatic dress as said in Gita (Vaasamsi Jeernani), he will immediately realize that these family bonds are also only the bonds in the drama. The soul forgets the bonds of the previous birth as an actor forgets the bonds of previous drama. If these bonds are real the soul should have remembered its relatives of the previous birth. Such a divine knowledge on memorization enters the nerves of a person and he will not have any tension about his family members. He does his duties without any trace of tension. This is the salvation while alive (Jeevanmukthi). Thus meditation means continuous remembering of the divine knowledge which yields the direct fruit here itself. Such a person gets a fruit in the upper world also. The only one Lord is the authority here and there also. Anybody blessed here will be blessed there also. If one is not blessed here he is not blessed in the upper world also. The grace of the Lord or the anger of the Lord is uniform here and there. One who is not blessed here cannot be blessed there. Thus the true knowledge blesses any person here & there. Meditation is continuous thinking of such knowledge and other interpretations are either useless or of little use.